The year is sometime in the 1850s. Tommy Jukes is a Dudley miner who loves fossils almost as much as he likes his beer. 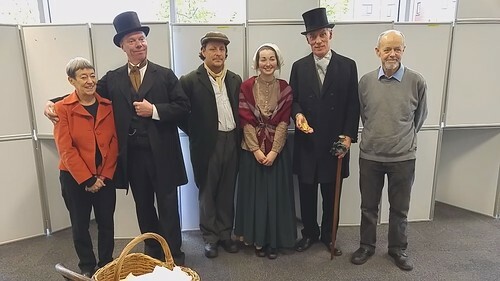 The play imagines what might have happened when Tommy, his strong-willed wife Susan, and friend and land agent James Gillespie meet the eminent Victorian geologist Sir Roderick Impey Murchison. The Jukes and James Gillespie are imaginary, but Murchison was definitely real and a famous figure in his day. The play was featured in a report on Midlands Today on 9th November, available on their Facebook page.